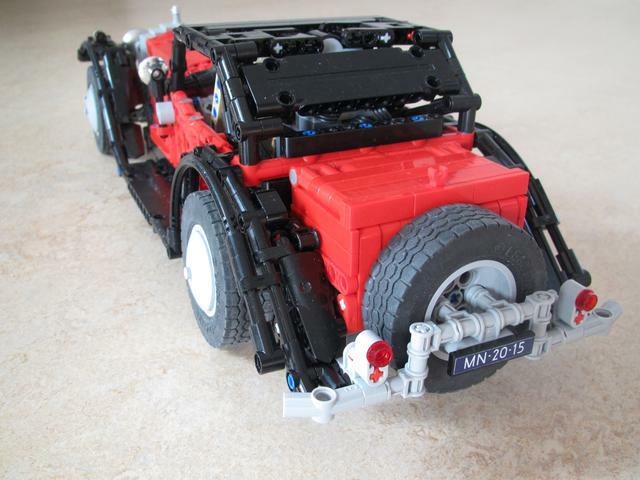 The model is fully RC controlled and has back-side suspension, functioning side-folding bonnet, trunk, suicide doors and working engine. 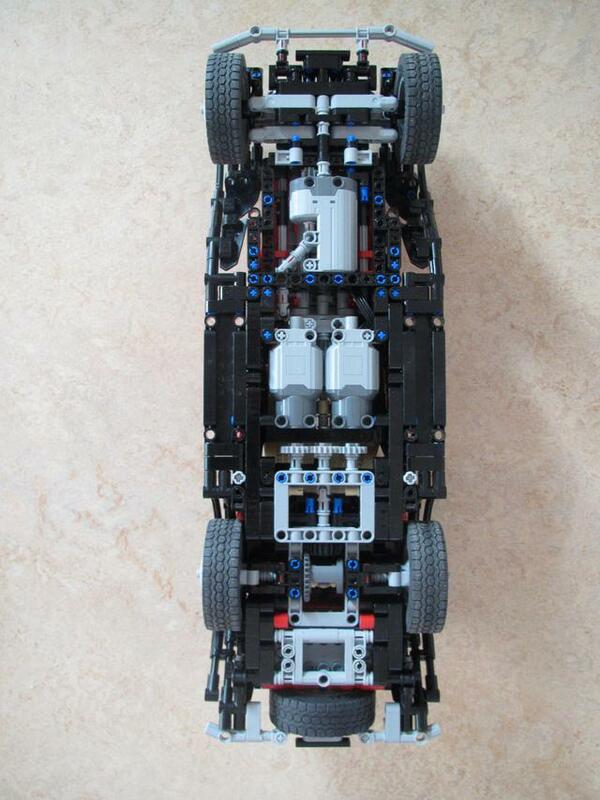 It is operated by 2 L-motors and a servo for steering. I build it in about 40 hr. 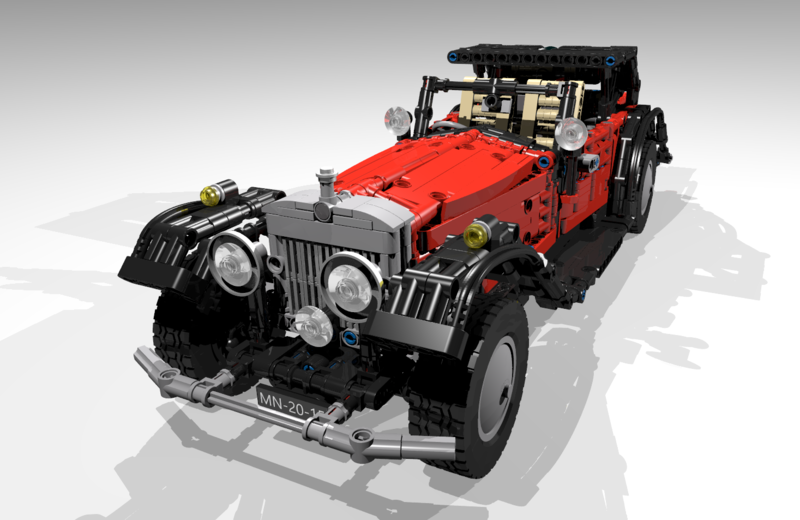 over a period of 2 weeks and made instruction of it that are free to download from Rebrickable. 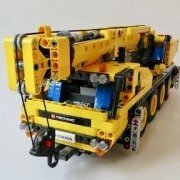 Be sure to also check out my other models on Rebrickable. Update: Just have to add these incredibly nice renderings that jesuskyr made for me at his own initative. Thanks a lot for them. More pictures are in the later postings in this topic. Very nice! I am going to build it soon! Awesome model and presentation! 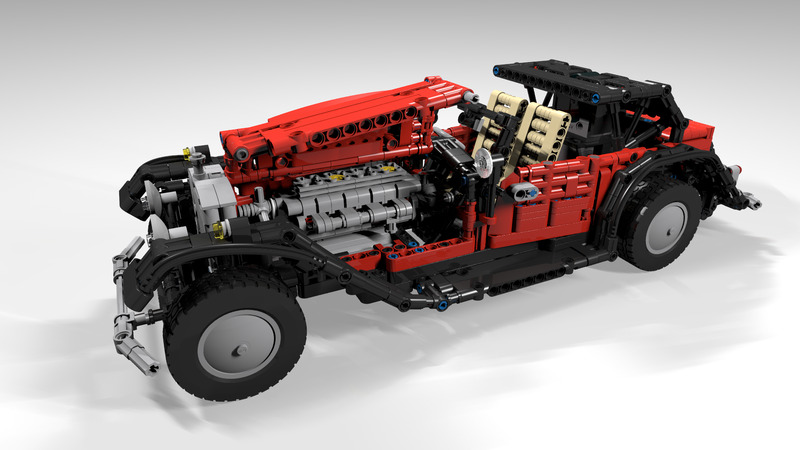 Any way to add suspension? Great lines, both the bonnet and the mudguards. Back suspension is in already. 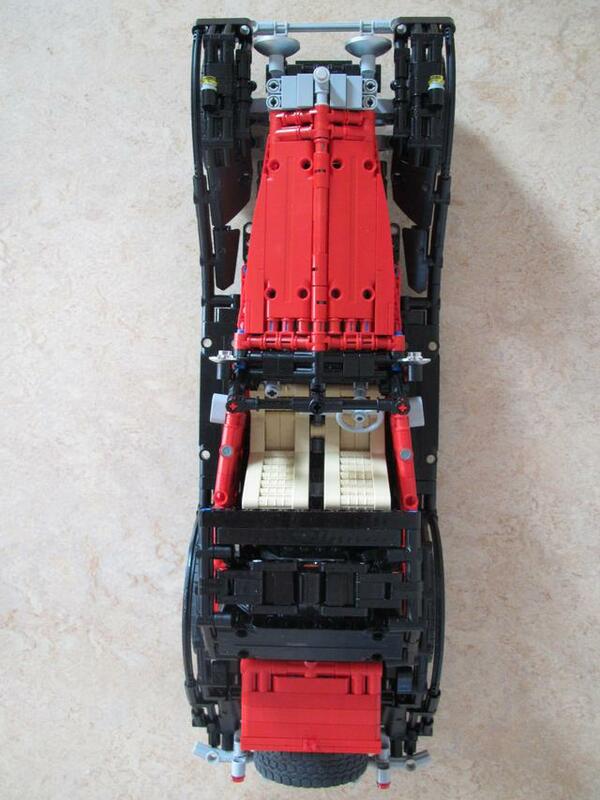 In the front was not possible as the space is insufficient and front of the bonnet stops directly above the steering. Very nice indeed. Thank you for making the instructions available. Perfect - why not put it on IDEAS? That is way cool. 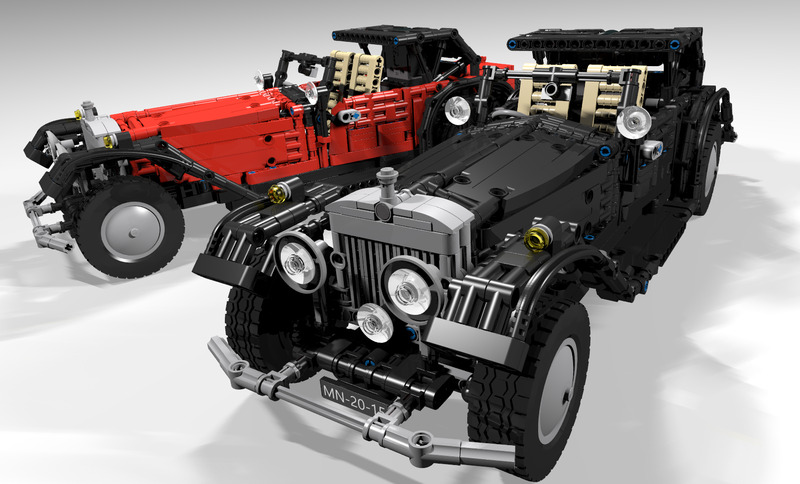 I love how you reproduced those flowing lines of the car. Very impressive. Rolls-Royce Phantom two. 4.3 litre, 30 horsepower, six cylinder engine, with Stromberg downdraft carburetor, can go from zero to 100 kilometres an hour in 12.5 seconds. And I even like the color. Wonderful model! Too bad I'm missing so many parts (>100). 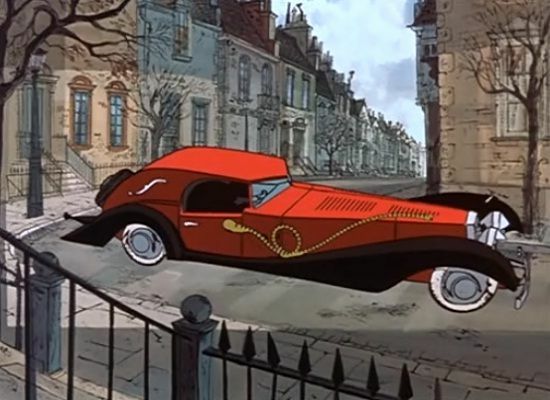 I have had more people making the reference to Cruella's car. Funny that the model brings up memories of this classic movie.. Very nice model! Great work! Very nice super car! It's good to see such a lovely and different build. Thank you for making it available. Beautiful! The mudguards are brilliant, using the angled connectors for strength and the flex axles on the outside to convey the impression of a smooth curve. It's really a pity that all the tyres we have are too wide for this type of vehicle, but the 62.4 x 20 are still acceptable. It makes me want to build the yellow Mercedes SSKL of Lupin the 3rd. Agree on the tyres. 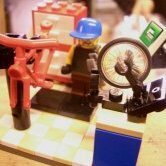 I first wanted to build it using the motorcycle tire ~100mm. but then the model would have been close to 70 cm long and that was way too big. This tire is the only one suitable, but indeed still too wide. I checked it out. That's indeed a great alternative classic car. Too bad the flex angle connectors 32126 don't exist in yellow as far as I know. Very creative work. I love the shaping of the hood, and the application of three colors is spot on. Well done. 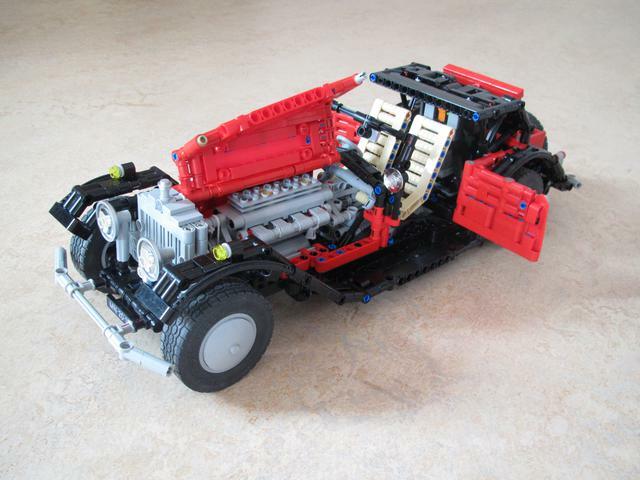 I am really impressed by this moc, it's a complete moc, it has it all. Thanks you all for the compliments. 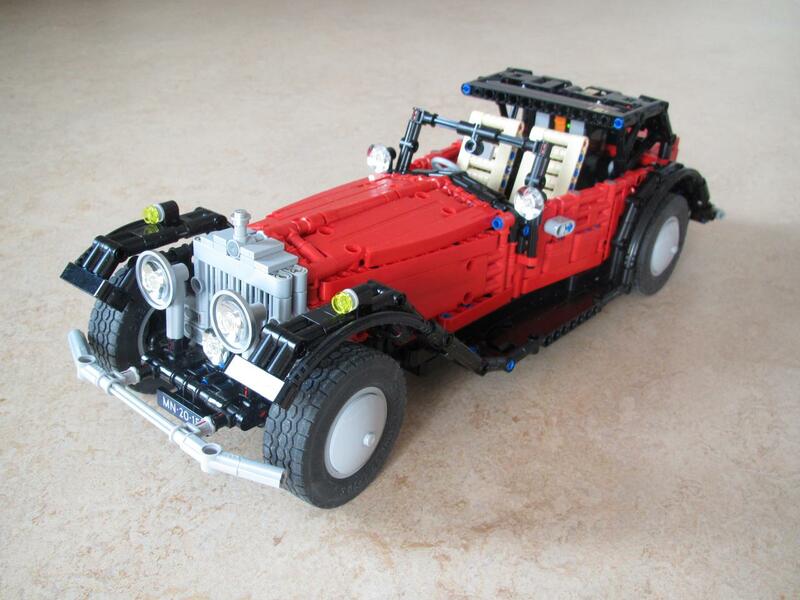 As you can see I have published by Rolls Royce on Lego Ideas. Any endorsement would be highly appreciated if you like the model.